Left : A binary search tree. Right : A heap but not a binary search tree. The search tree labeling enables us to find where any key is. Start at the root- if that is not the one we want, search either left or right depending upon whether what we want is <= or >= then root. Binary search trees store collections associated with items that may be purchased, for example integers. 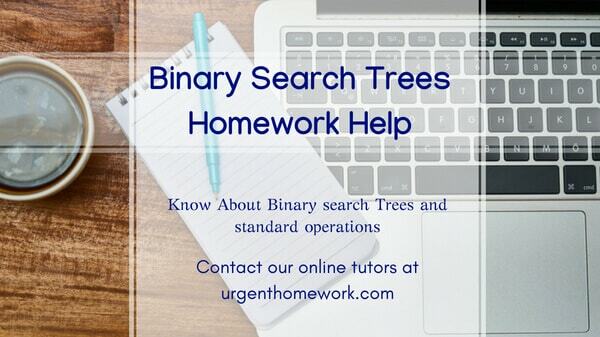 Binary search trees support the following standard operations. search(x) : determines is an item x included in the tree (and if so returns the item). insert(x) : adds item x to the collection stored in the tree, if it is not already there. Data structures supporting these operations are called Dictionaries. A simple implementation is to store the items in sorted order in an array. Search(x) is simply a binary search. However, insert(x) and delete(x) are inefficient as, in general, they may require many items to be shifted.